10:00 - Lecture: Gamer empreendedor: criar, administrar, jogar! 11:15 - Inovação. Por quê? 11:15 - Lecture: O que você aprende com os jogos digitais? 14:30 - In foco: What Are You Building, Stark? 15:45 - Board - Movimento Startups no Brasil: junte-se a nós! 15:45 - Panel: Neutralidade da rede: mantenha a Internet aberta! 17:15 - Board - O mundo é mesmo plano? Como ultrapassar fronteiras. 21:45 - Workshop - How to produce a podcast? You are bringing them here to see if there is an interest in bringing the Campus Party to UK? Rui Lopes: We'll have a moment here on Campus Party called UK without borders, where it will be shown that the UK is open for education and entrepreneurship. In this panel, we will have representatives of four different institutions in the UK, among them is the Coventry University Tech Park, which is represented by Obi. He will talk about technology parks. Our intention at Campus Party, is to make people understand this ecosystem that exists within the UK, which involves education. We came with the universities, and there will be a person talking about exchange opportunities, Master's Degree in the UK... We also have Ian Tracey, who will talk about the Science and Technology Facilities Council, which is an agency of the British government that funds research within the UK. While Obi will talk about the Tech Park, which is about the period when the person leaves the University and need support, a space that helps you to create your own business. At the end will be Simon Sprince from UK Trade and Investment, which is the British government body that supports UK companies to access other markets. It is an ecosystem that involves education, entrepreneurship and government support. 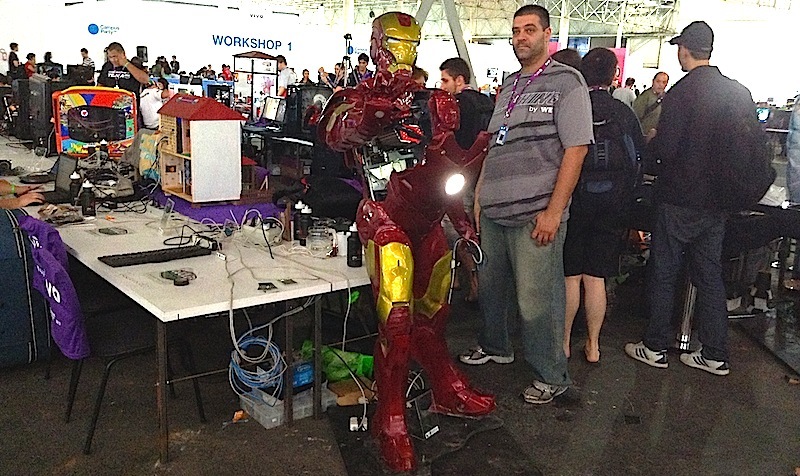 We are trying to bring it to the Campus Party 2013. 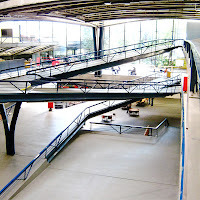 Is there in the UK, any event organised in the same way as the Campus Party? Rui Lopes: No. What is most like that in the UK, is the Digital Shoreditch Festival. 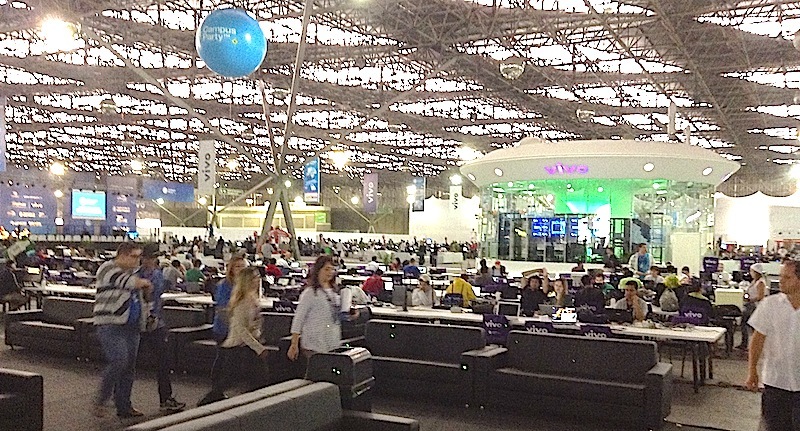 Which we will be rewarding here at the Campus Party on January 31st (Thursday), in a competition called UKBR Place your Bets, where Brazilian startups — that are already enrolled —, will have the chance to have their pitches and a commission of British and Brazilian judges will choose a startup to receive R$ 6,000 to go to the festival in London. We already had a lecture by Mark Hillary, titled Modern Business - Gaining new clients through social media. His intention was to show that social media is not an enemy to businesses, but an ally. Tell me more about the UKBrazil Season. Rui Lopes: It's happening now, from September 2012 until March 2013. It is a series of events of various natures, where the British government is encouraging the creation of partnerships between the UK and Brazil. That, within a context of Olympic legacy, since the last Olympics was in London and the next will be in Rio. We want to increase the ties between the UK and Brazil. We want to strengthen these ties in different ways. Both with lectures at universities such as art exhibitions and more. We are bringing this British delegation here because we want the relationship between Brazil and the UK increases in many areas. 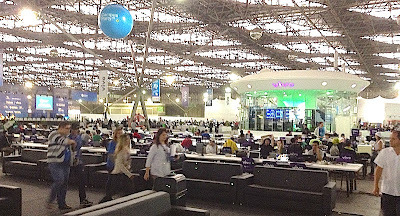 We are here at Campus Party because it is one of the actions that we have prepared for the season. "I know that if we can have it in the UK, it’s gonna be a phenomenon success!" Obi Okuadigbo: I know, it’s very interesting and there is a lot to taking. As you know the British Council invited us across here. I come from a technological park in the UK. We are interested in innovation and entrepreneur and this is something we are pushing out our country constantly. So, it’s interesting to see how many people actually turn up for this event, because it’s not what I’m familiar with. Is it the first time you are here? 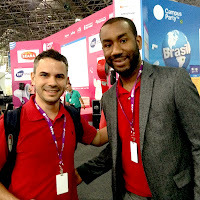 Obi Okuadigbo: Yes, it’s my first time in São Paulo. Obi Okuadigbo: For me anyway, it’s the first time I heard about it. But now we understand that in Spain, and also it was in Berlin too. We definitely are going to encourage our students of our University to attempt too. Do you think it can help the project you guys are organising? Obi Okuadigbo: Sure. A 100%. Going forward, we are on the knowledge based economy. The new bright ideas are going to come from the younger people. Having an environment where all young people can come together and bounce ideas each other because Uni is fantastic. Personally, I really like the the period of time set for this event, where one week is more than enough, mainly for people getting in contact and sharing experiences. Obi Okuadigbo: I know that if we can have it in the UK, it’s gonna be a phenomenon success. Definitely. Do you think it’s really gonna happen in the UK? Obi Okuadigbo: From speaking with the director here, it seems... there are positive messages it will happen in this year. If it does happen in this year, we’ll definitely be a part of it, and we will definitely encourage and actively promoted it in the UK. If it happens in UK, are you guys open for the whole Europe as well, or the focus on the first one will be just in the UK? Obi Okuadigbo: Well, I think that firstly in the UK so we can see how it goes, what the attendance is like, how well it was accepted and obviously if it is well accepted and we feel it’s definitely a benefit and we can see, actually companies forming from those meetings, it’s definitely something we will do. 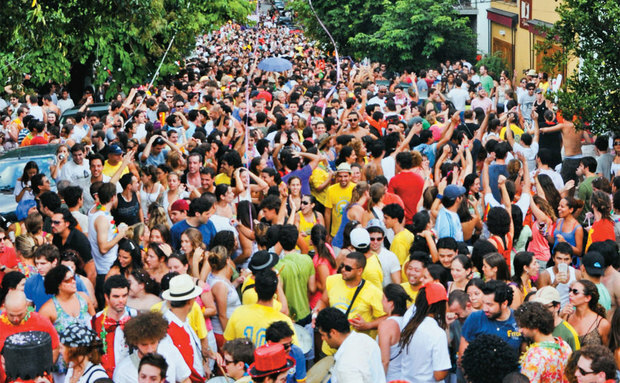 Carnival 2013: Check out the lineup of the Blocos de Rua (Street Parades). Join for free! Here in São Paulo, apart of the traditional Carnival Parade at Anhembi that happens every year, you can celebrate Carnival following the so-called "blocos de rua" (street blocks). With or without costume, it's very interesting to join. In the coming weeks, they emerge from different parts of the city. Insidesaopaulo listed the lineup of the ones organised on the city centre. Check it out! Meeting Point: Largo do Cambuci. When: February 2nd, (Saturday) at 4 pm. Itinerary: Largo do Cambuci, Rua Luiz Gama, Rua Cesário Ramalho, Rua dos Alpes, Rua Gerônimo de Albuquerque, Rua Barão de Jaguará, Rua Silveira da Motta, Rua Justo Azambuja and Rua do Lavapés until the Largo do Cambuci. When: February 3rd, (Sunday) at midday (Parade at 2 pm). Itinerary: Largo do Arouche, Avenida Dr. Vieira de Carvalho, Praça da República, Avenida São Luis, Rua Xavier de Toledo, Praça Ramos de Azevedo, Teatro Municipal, Rua Conselheiro Crispiniano, Largo Paissandu, Avenida São João, Avenida Ipiranga, Igreja da Consolação, Rua Rego Freitas and Largo do Arouche. When: February 3th (Sunday) at 4 pm. Itinerary: Rua Eduardo Vicente Nasser, Reverendo George Michel Atlas, Rua Alcindo Bueno, Rua Padre Leopoldo Brentano, Rua dos Mártires Armênios e Rua Reverendo George Michel Atlas, Rua Eduardo Vicente Nasser. Meeting Point: Rua Teodoro Baima, corner of Rua da Consolação and Avenida Ipiranga. When: February 4th (Monday) at 9 pm. Itinerary: Rua Dr. Teodoro Baíma, Rua da Consolação, Rua Cel. Xavier de Toledo, Praça Ramos de Azevedo, Teatro Municipal, Rua Conselheiro Crispiniano, Largo do Paissandu, Av. São João, Av. Ipiranga, Praça da República and Rua Dr. Teodoro Baíma. When: February 5th (Tuesday) at 5 pm. Itinerary: Rua Rui Barbosa, Rua Santo Antonio, Rua 13 de Maio, Viaduto Armandinho do Bixiga e Rui Barbosa. The Banda do Candinho was created by Candinho, one of the great characters of the samba of São Paulo. Meeting Point: Rua Santo Antônio, corner of Rua 13 de Maio. When: February 6th, (Wednesday) at 5 pm. Itinerary: Rua Santo Antônio, Rua Martinho Prado, Rua Martins Fontes, Rua da Consolação, Rua Cel. Xavier de Toledo, Praça Ramos de Azevedo, Teatro Municipal, Rua Conselheiro Crispiniano, Largo do Paissandu, Av. São João, Av. 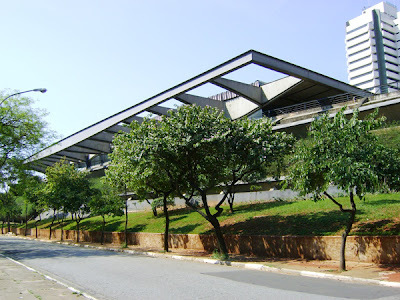 Ipiranga, Praça da República, Av. São Luiz, Viaduto 9 de Julho and Rua Santo Antônio until the corner of the Rua 13 de Maio. The Trem Elétrico (Electric Train) was created by the metro labor force. Meeting Point: Rua Augusta, corner of Rua Luiz Coelho. When: February 8th, (Friday) at 7 pm. Itinerary: Rua Augusta, Rua Martins Fontes, Rua Xavier de Toledo e Praça Ramos de Azevedo. 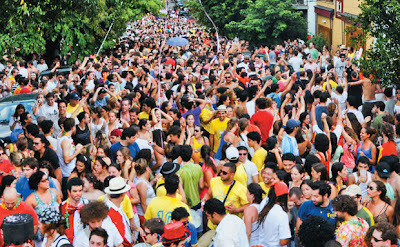 The Bloco dos Esfarrapados is very traditional in Sao Paulo. Bloody old. When: February 11th (Monday) at 2 pm. Itinerary: Rua Conselheiro Carrão, Rua Almirante Marques Leão, Rua Una, Rua Rocha, Praça 14 Bis, Rua Manoel Dutra, Rua Maria José, Avenida Brigadeiro Luiz Antônio, Rua Major Diogo, Rua Conselheiro Carrão. 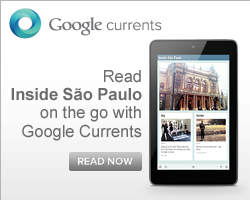 Insidesaopaulo is now on Google Currents. Much easier and comfortable to read on mobile devices. Come and join us! 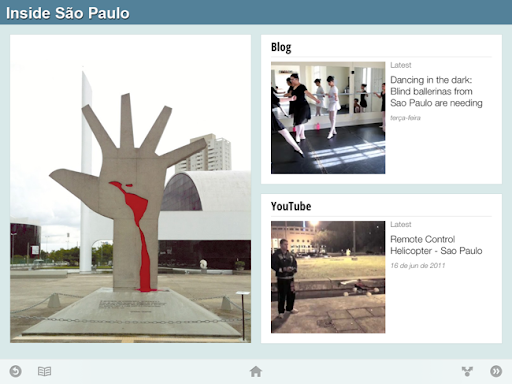 Insidesaopaulo is now on Google Currents. It's a powerfull Google RSS reader made for mobile devices, where you can read the content of this blog, as you're reading a magazine. It's amazing and we deeply recommend you to follow our content using this tool. Note that you only will be able to use Google Currents if you are using your tablet or mobile. 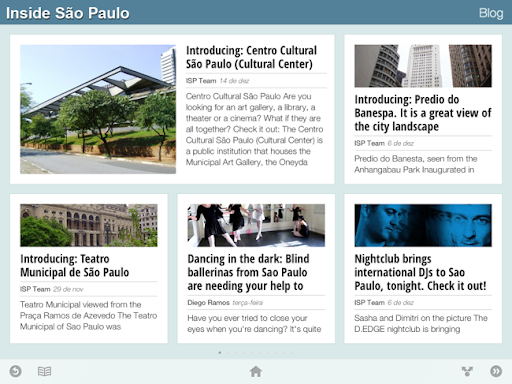 To read insidesaopaulo, you will have to click on this link. It's necessary to download the Currents APP (in case you don't have if yet), but no worries, it's free and doesn't take more than few seconds to install. Click here to join us on this new media platform. You won't regret! Have you ever tried to close your eyes when you're dancing? It's quite exciting for a while, isn't it? But I wonder how you, that is in front of this screen, would feel if could not read this post. I also wonder what would I do, if I could not see and needed hopelessly to find the toilet bowl — generally we men only close our eyes and place our hand on the wall after begin to pee. I'm sure I would be absolutely lost. Unfortunately, when most of the people 'see' on the street some brave person that can't 'see', don't think that much about the daily life of a blind individual. It's dramatic for us, to think about being in the dark for ever. It would be a huge paradigm break. However, what would you think if I tell you that lots of them dance ballet? Another paradigm break? 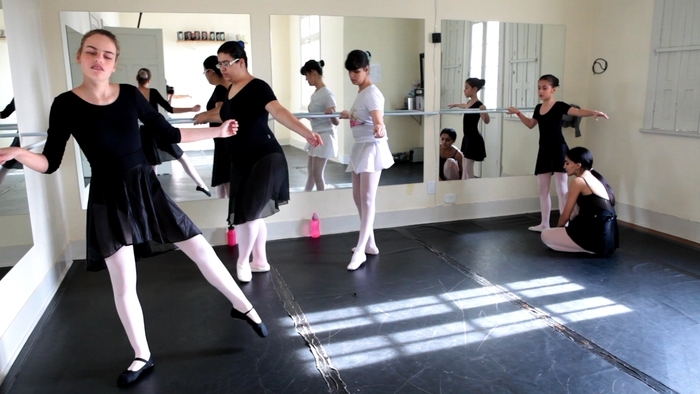 There is a ballet school here in São Paulo that teaches blind people to dance. It's amazing to see how they perform. 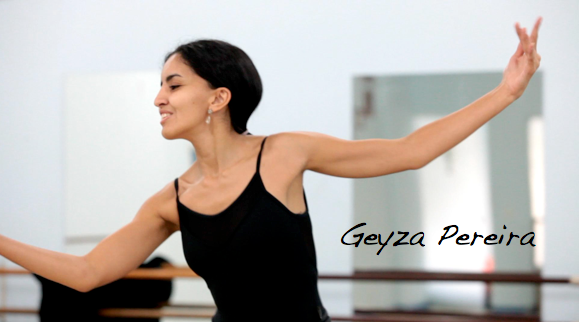 The project was started 16 years ago by the ballet teacher Fernanda Bianchini and some of the dancers still practicing until now, such as Geysa that lost her sight when she was 10 years old. Nowadays they are preparing themselves to perform at the classic Municipal Theatre of São Paulo. Last year, they performed at the 2012 Paralympics closing ceremony in London. Click on this link to view the video made by BBC and find out how strong is the feeling. 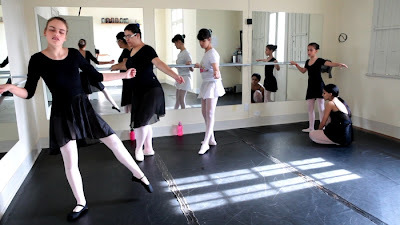 The film director Alexandre Peralta, which is a Brazilian studying in USA, has been following the ballet school on the last few years and is willing to produce a documentary film about the people related to the school. The film entitled "Looking at the Stars" wants to show how the school is important on their lives. According to him, "this movie is about their passion for doing something that seemed unreachable for them". Currently he and his team are trying to raise money to make it possible via the Kickstarter website. The project needs US$ 16,000 to be produced and it will be available for donation till February 5th. They want to shoot in the Summer of 2013 and need money for the trip, to host and pay the crew (5 people) and afford the expenses, that includes rentals, equipment, locations and everything else. It is extremely exciting to find that we are able to do seemingly impossible things when sometimes what we want is just to feel alive. Insidesaopaulo deeply supports this project! Do the same and help this group to make their dream come true. Donate. They need $16,000 by Feb 5th! When: It will be possible to pledge till Feb 5th. 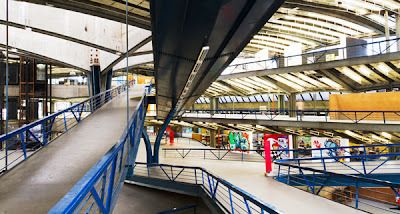 The Centro Cultural São Paulo (Cultural Center) is a public institution that houses the Municipal Art Gallery, the Oneyda Alvarenga club, the collection of Folklore Research Mission Mario de Andrade, a set of libraries, exhibition spaces, workshops, theaters and cinema. Amazing, right? Opened in 1982, it's one of the major cultural destinations in town. 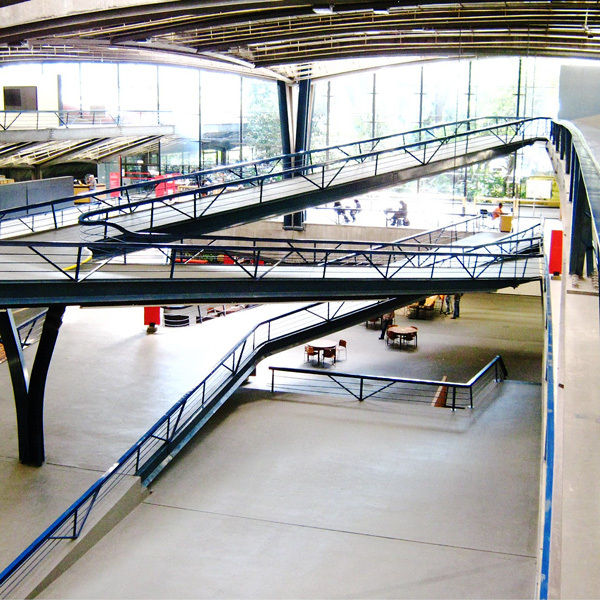 The library, built of reinforced concrete, offers more than 100 thousand books. If you are travelling in Sao Paulo or even already have been living here for awhile, you might visit this place. Nightclub brings international DJs to Sao Paulo, tonight. Check it out! Price: R$ 40 for women and R$ 100 for men. R$ 80 / R$ 200 (consumption). It's necessary to show ID with your picture to get in.